We worship Jesus as the Lord of life. Everyone who believes in Him will be raised from the dead and will live with God forever. When you sit at home: Ages 3-5 read John 11:3-4, 21-23,32-44. Grades 1-2 read John 11:3-4, 21-27, 32-36, 41-44. Grade 3 reads John 11:3-6, 14-15, 21-27, 32-36, 40-45. Grades 4-5 read John 11:3-6, 14-15, 21-27,32-36, 40-54. Jesus called Lazarus from out of the tomb and he rose from the dead. Why did Jesus perform this miracle? 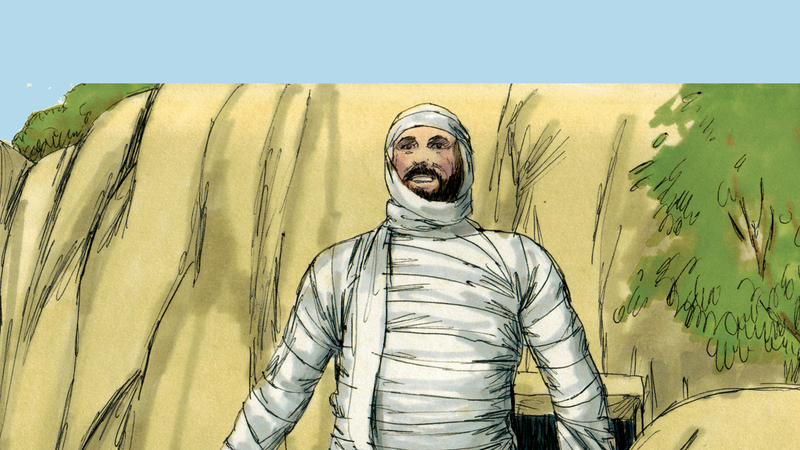 When you walk along the road: Why is this story of Jesus raising Lazarus from the dead important to believers today? When you get up: Easter is coming soon! Who could you invite to attend Easter service with you so they can hear about who Jesus is and what He has done for us? KIDS: Did you get this weekend’s take home paper? No?? Download it below. And, don’t forget! You can watch this weekend’s Delbert & Lello or Grade School sketch on the Northland Children’s Ministries mobile app or on Northland's Roku channel! ‍Upcoming Events: Check out what's coming up in Northland Children's Ministries at Longwood! 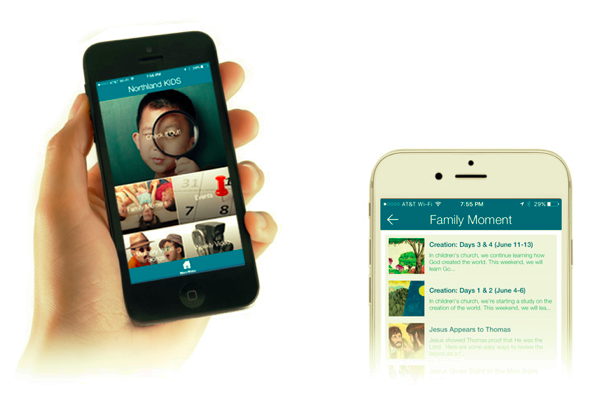 Check out the Children’s Ministries App! Know what your children are learning in Children’s Church each weekend. Get ideas for engaging your family in conversation about the weekend’s Bible lesson. See the weekend’s puppet and drama sketches. Listen to the Bible memory verse songs. Have easy access to the Children’s Ministries calendar. Search for “Northland Children; at your app/play store or CLICK HERE.